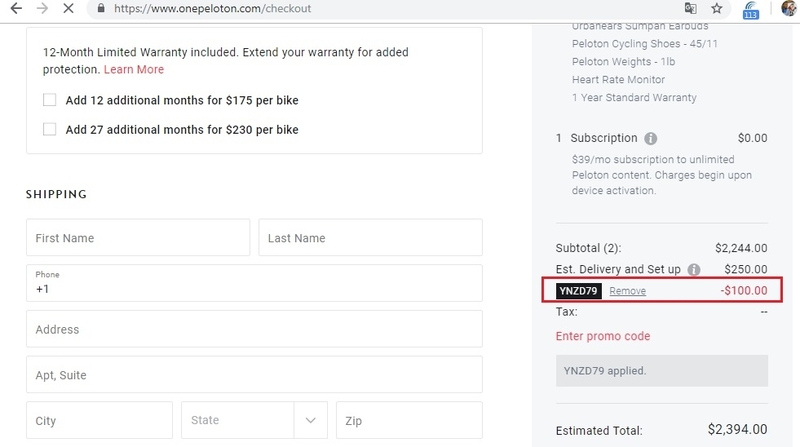 Gabriela Brito Use the promo code YNZD79 to get $100 off on bikes. Simply enter the code during the checkout process to apply this discount. Some exclusions may apply.